It doesn’t matter what kind of database you need to have recovered, we can help. Database data recovery can be an extremely complex process and you will most likely need a team of data recovery experts to help you. We work with every type of database system on the market. If you’ve lost a server that contained critical database files, stop what you’re doing and call us today. You will need professional data recovery support to help get your data back. ACS Data Recovery has been repairing and recovering database files for over a decade. We maintain a comprehensive set of proprietary tools and technology that allows us to work with your media to retrieve database files that have been lost due to hard drive failures, a server crash, accidental deletion, user error, and much more. We know that time is money, and we can work to get your data restored in days, not weeks. In some cases our Expedited Services can be completed in mere hours. Our team of experts is ready to help you get your data recovered, and get you back up and running quickly. 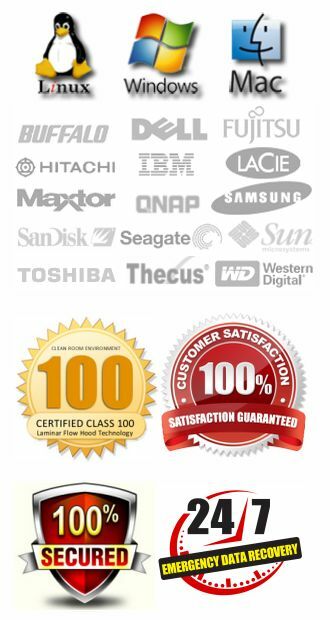 Over the last 10 years we have become a proven leader when it comes to recovering lost database files. There are many causes that can lead up to a database file loss. The first step involves you giving us a call and speaking with a data recovery professional about your particular case. What issues you had surrounding the data loss, and what was done after the problem was first discovered. In many instances, the less that is done after data loss occurs, the more likely a successful recovery will be. After the initial phone consultation, we will have you ship your media to us. Once we’ve received your device, we will do a thorough analysis. During this initial evaluation period, we are determining what may have caused the failure, and then putting together a plan that will allow us to retrieve the data. We may look at physical damage to any drives that are associated with the files that have been lost, or we will copy the file and open the copy in a HEX editor to see if there are any obvious signs of damage to the file itself. MySQL – MySQL is used in millions of applications. It’s an open-source database system, and it is by far the most popular. The biggest websites on the Internet utilize MySQL, and so do some of the smallest. It’s scalable and it’s efficient when it comes to storing accumulated data. Even with redundant backup solutions in place, we still get calls from customers who have lost MySQL database files. In most of these cases, the backup is either found to be corrupt or severely out of date, so the only viable solution is to recover the original database file and restore the database to a point like it was before the failure occurred. Microsoft SQL Server – Our data recovery engineers are highly proficient with Microsoft SQL Server database files. The range of problems associated with SQL database files can run from something relatively minor, where a file was accidentally deleted…all the way to a severe problem where a major failure of the data file server has occurred. We can work with SQL Server files that have been damaged due to file system corruption. A common problem is where a technician accidentally reinitializes the file server, wiping out the old RAID configuration, and rendering the device unbootable. All of our recovery work is guaranteed. Microsoft Visual FoxPro – A leading data centric object-oriented procedural programming language. Visual FoxPro (VFP) is a programming tool that has been around for decades in some form or another. Our data recovery technicians can recover lost VFP files, and help to repair damaged VFP files. If you’ve suffered a hard drive or storage media failure that has resulted in the loss of your Visual FoxPro data, we can help retrieve those files. It doesn’t matter if the files were on a stand-alone hard drive or a multi-drive RAID array. We have the tools and the experience to get your data back, and in most cases you pay nothing if the data is unrecoverable. Microsoft Access – At ACS Data Recovery we routinely recover Microsoft Access database files. Common problems we see with .MDB files and .AACDB files are when the file will no longer open due to corruption or the file has been lost due to file system damage. In addition, we also see many cases where the data has been lost due to hardware failure. Either a hard drive or other storage device has failed, or in cases where the files are hosted on a server, the server itself has crashed. All of our recovery efforts are geared around keeping the source data intact and unaltered during the recovery process. Microsoft Exchange Server – Back in 2004 ACS Data Recovery invested heavily in specialized equipment that makes it possible for us to recover data from Microsoft Exchange Servers. This has allowed us to become an industry leader for recovering lost data from Exchange Servers. Exchange is the pinnacle of professional email software. Hardware failures can render Exchange databases inaccessible. Our team of experts can help you recover your lost Exchange Server database files, .EDB files, and .STM files. We also have a vast amount of experience with .PST, .OST, .DAT, and file recovery, which are also somewhat related to Exchange Server data recovery. Oracle – We provide data recovery services for the many Oracle database products that are in use today. Few can compare to Oracle when you need to maintain large database records, that are also scalable. Oracle database failures can be extremely complicated. There are literally hundreds of different Oracle database error codes. Some reflect minor database issues, and some can represent more serious problems. When a database issue arises, and it’s not a simple fix, you need a dataWe can help you repair and recover your lost Oracle database files. We have the tools and experience needed to work on any type of Oracle database. SAP SYBASE | Adaptive Server Enterprise – Adaptive Server Enterprise is used by companies who need faster and more reliable data processing. This database server offers a more affordable relational database management system (RDBMS) and is designed for high-performance transaction-based applications involving massive volumes of data – and thousands of concurrent users. Adaptive Server Enterprise failures do occur and in most cases the database files can be recovered. ASE failures and file loss can occur for many reasons. We recover data in situations where media failure has occurred or when the data has been lost due to accidental deletion or format. QuickBooks Data Recovery – QuickBooks database errors are very common, and in most cases in can render your data completely inaccessible. 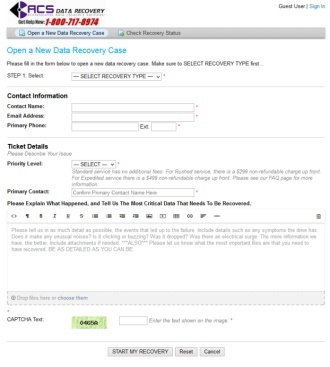 We work on hundreds of QuickBooks data recovery cases each and every year. In most cases it simply takes too much time for a customer to manually rebuild their accounts. We can repair QuickBooks files and also recover QuickBooks data from media that has suffered a failure. So if you have a hard drive or other type of storage device that has failed, and you need to recover your QuickBooks data, we can help.